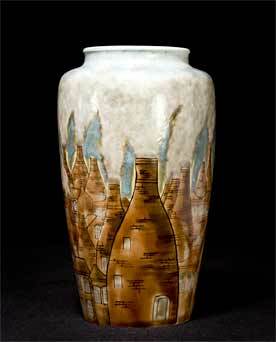 Large Cobridge bottle kiln vase - 9⅞" (250 mm) high. 1998. THE Cobridge vase, signed by the designer, Philip Gibson. Apple back stamp. This was from the first run which was sold exclusively through Liberty's. You can see this pot in 360 degrees.